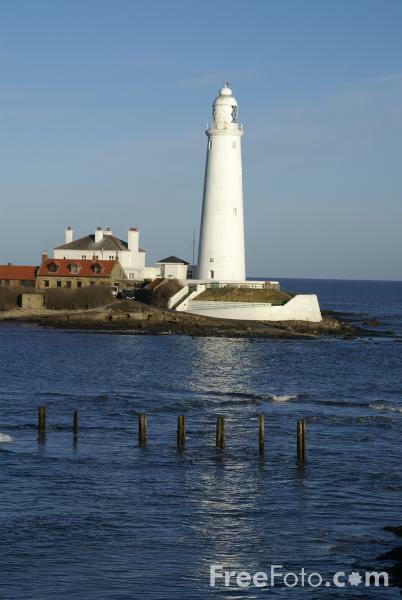 Picture of St Mary's Lighthouse, Whitley Bay, Tyne & Wear, England. The lighthouse and adjacent keepers' cottages were built in 1898 by the John Miller company of Tynemouth, using 645 blocks of stone and 750,000 bricks. VIEW: More images from the category Whitley Bay or taken at the same location or around the same time .